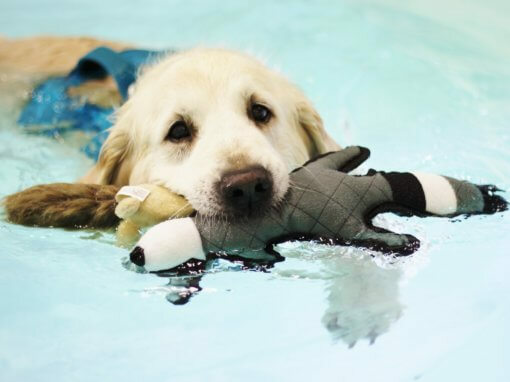 performed to repair his left elbow. 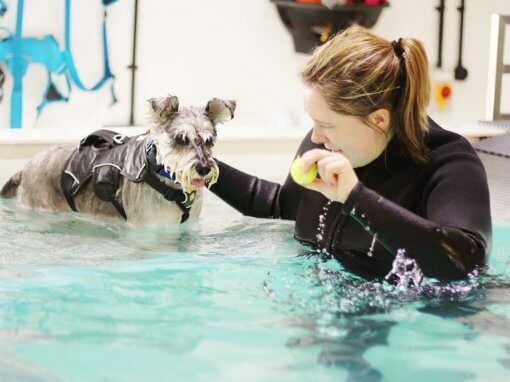 As Oscar has progressed the extension has greatly improved on his hindlimbs with some stimulation from us to encourage him to extend his left hind limb more. 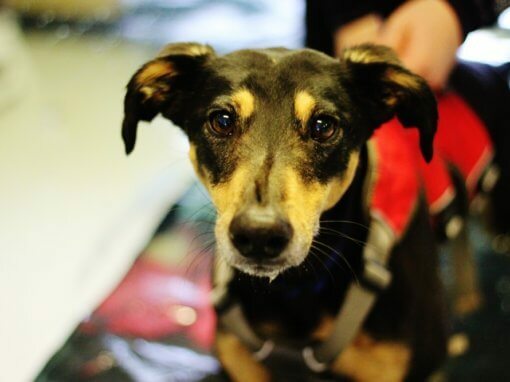 He still does abduct his left hind limb slightly but far less than he did previously. 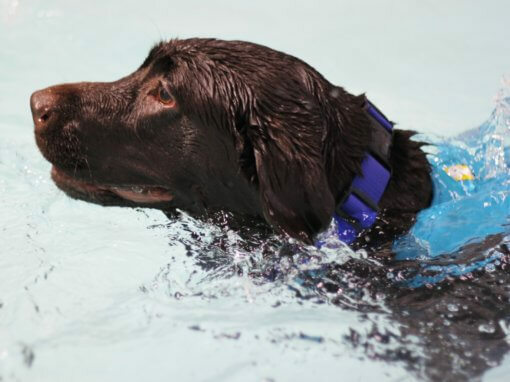 His range of movement has greatly improved through his left elbow but he will always be slightly stiff through it. 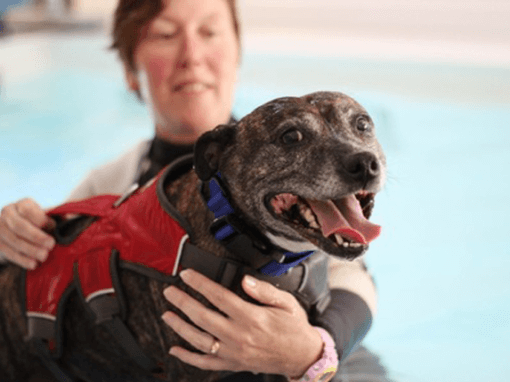 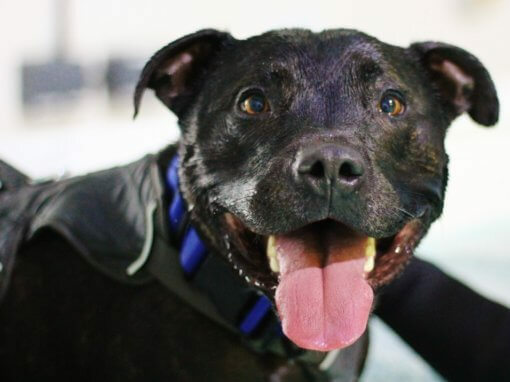 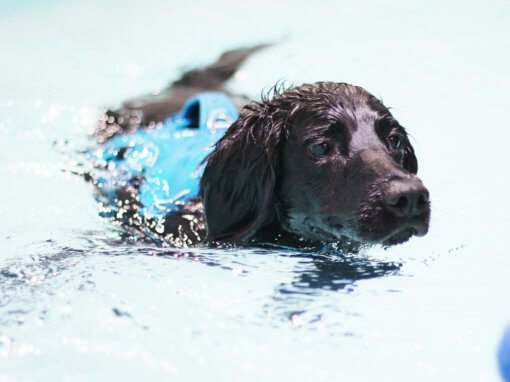 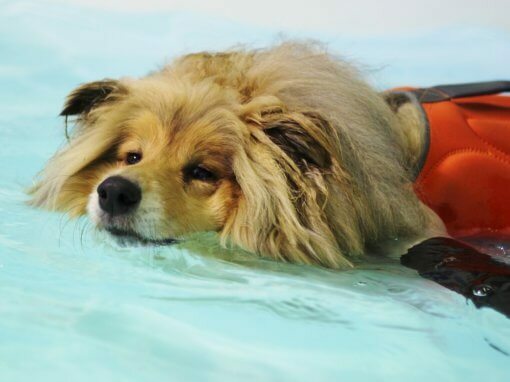 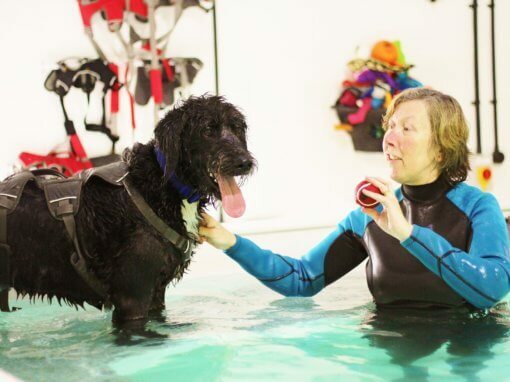 Oscar’s owners have been delighted with his progress and really feel that Oscar’s weekly hydrotherapy has made such a difference to his condition and quality of life. 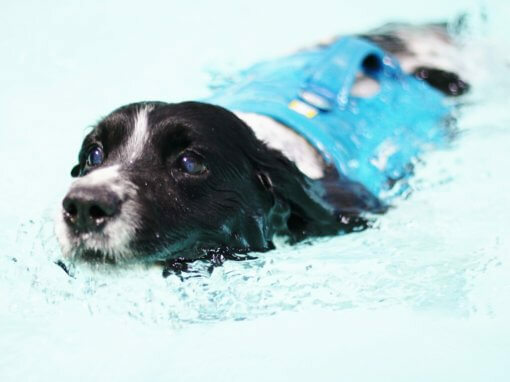 They now can hardly keep up with him on his walks, and he has been known to run off while on his walk for a sneaky dip in the river! 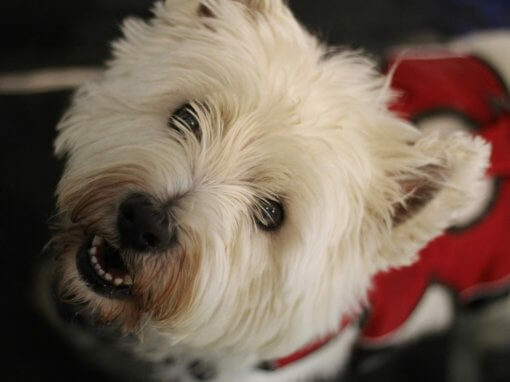 Cheeky boy! 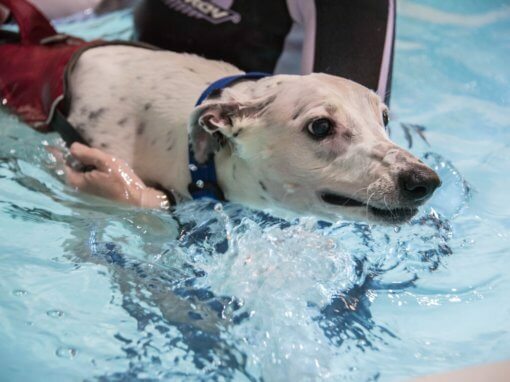 Since the start of Oscar’s treatment at Bluewaters he has gained muscle on all four limbs with 2-3 cm gained on both hind limbs and 1cm gained on both forelimbs. 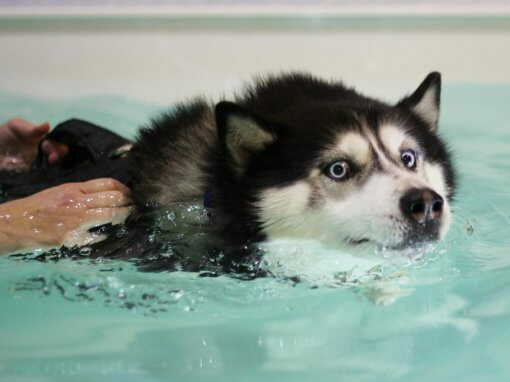 He has also lost 3cm off his waist. 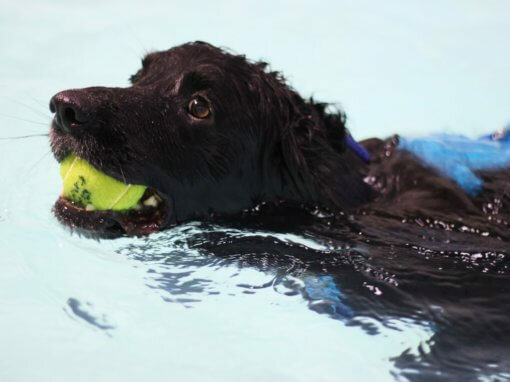 Oscar is such a sweetie and a pleasure to have at the centre; he is very partial to a cuddle while resting on the pool ramp, and hydrotherapist Laura, who is a self- confessed crazy spaniel lady, is only too happy to oblige! 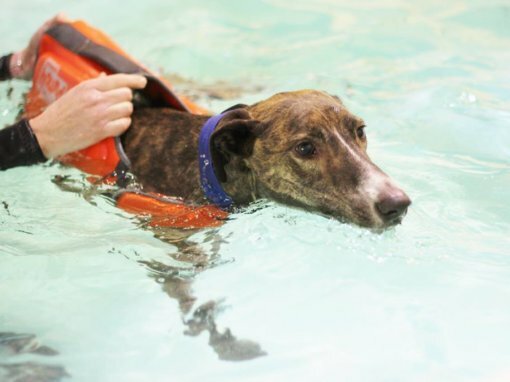 Oscar continues to attend the centre on a weekly basis and is coming on in leaps and bounds! 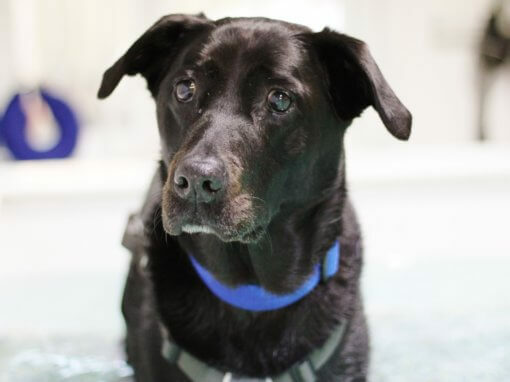 At nearly 13 years of age Oscar started to show signs of arthritis, he lagged behind on walks and struggled to stand after sleeping. 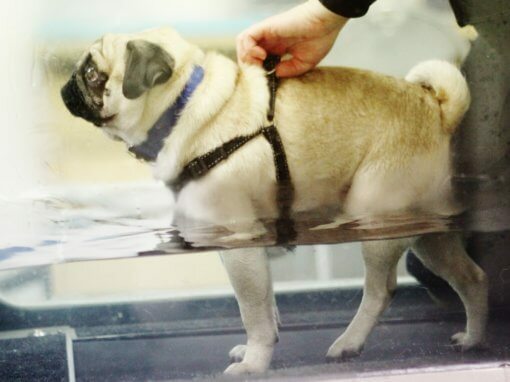 We also noticed muscle wastage in his back end. 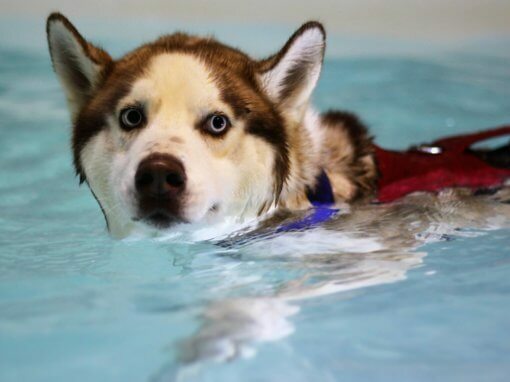 Our vet suggested we try hydrotherapy to try to build the muscle and stop further deterioration. 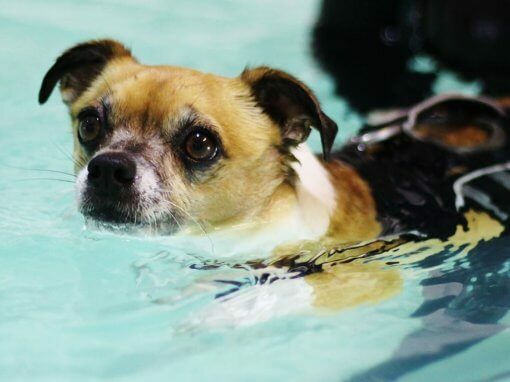 Hydrotherapy has definitely helped Oscar a lot. 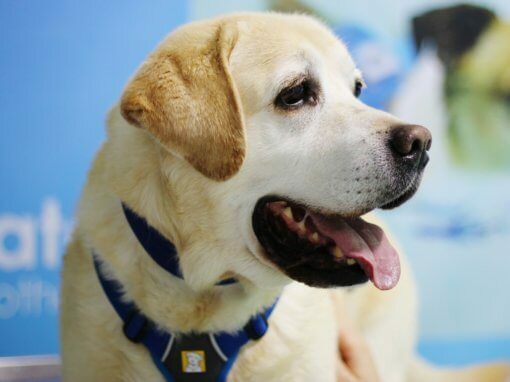 The muscle wastage has not deteriorated further and his mobility level has improved to the level that he now enjoys his walks everyday and we feel without this treatment we would no longer have our beloved pet. 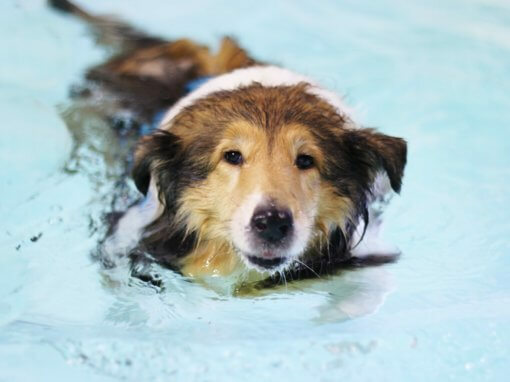 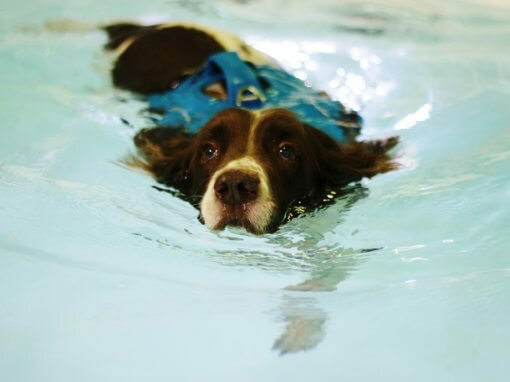 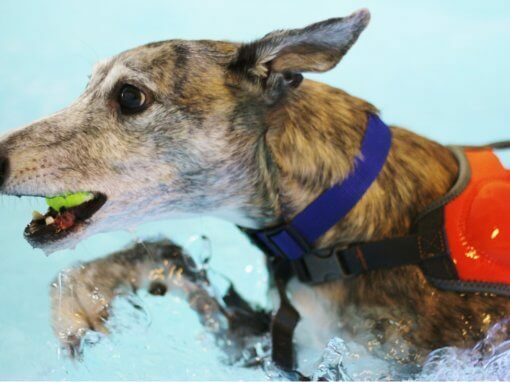 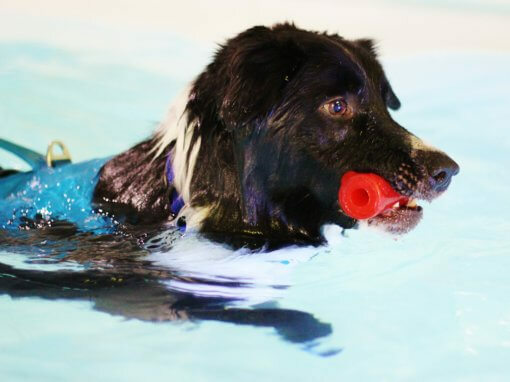 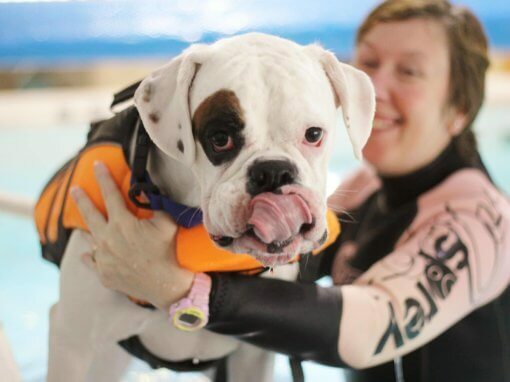 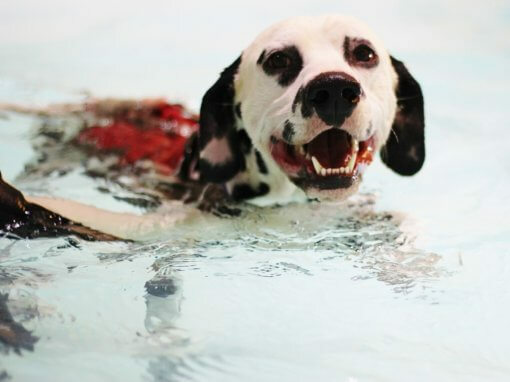 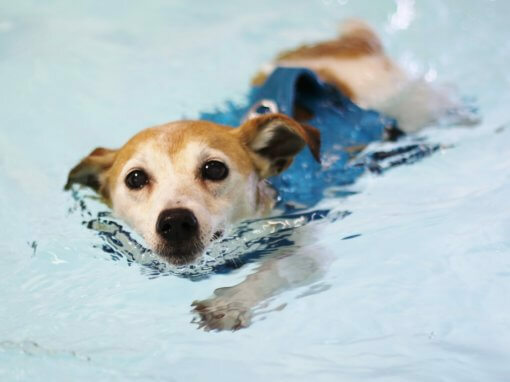 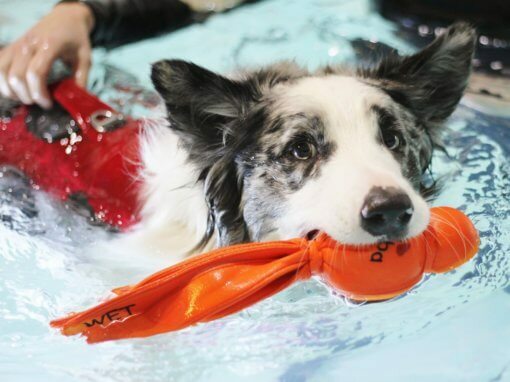 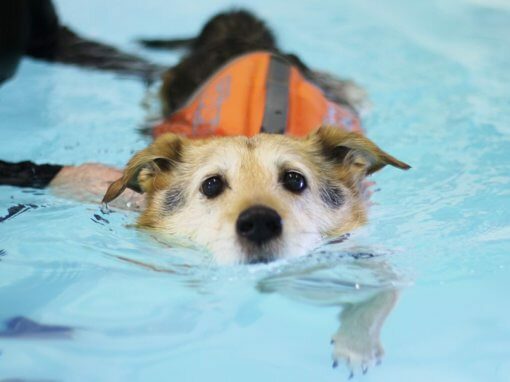 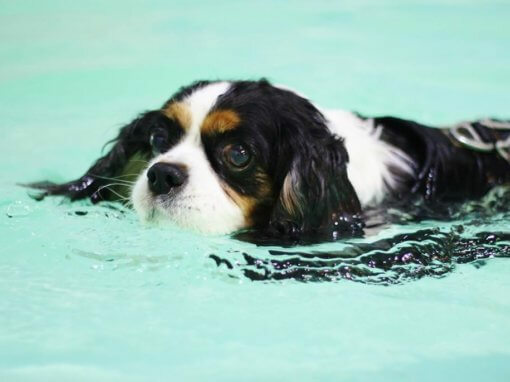 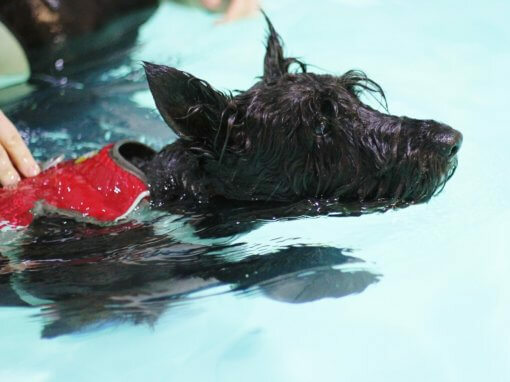 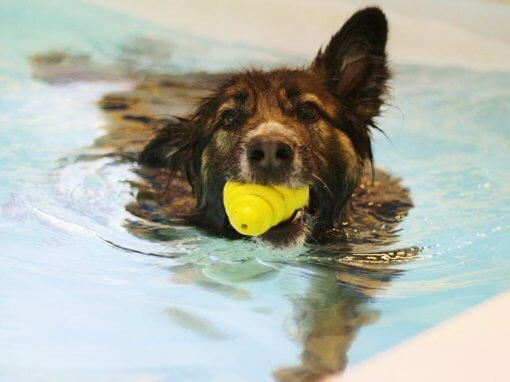 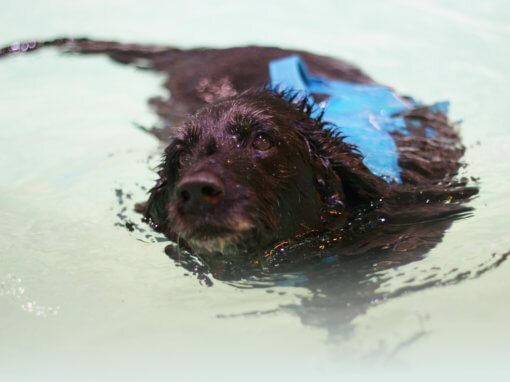 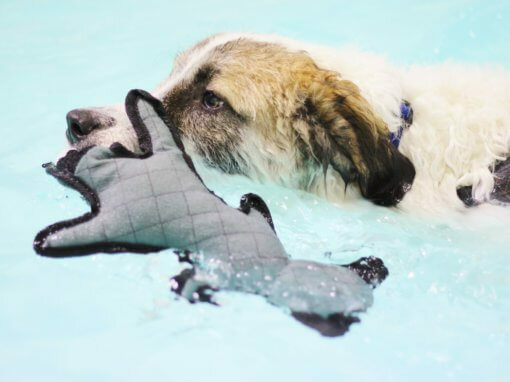 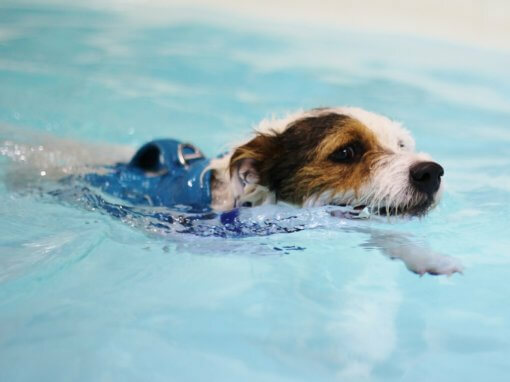 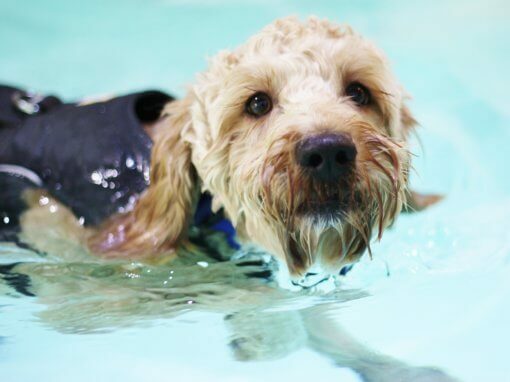 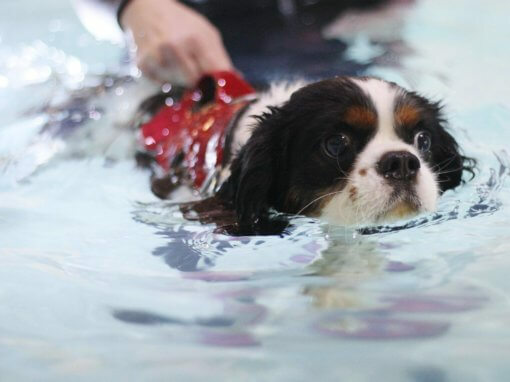 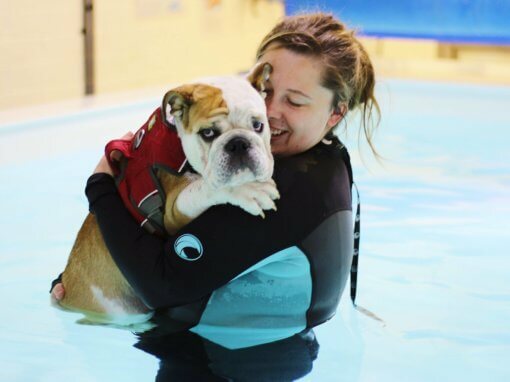 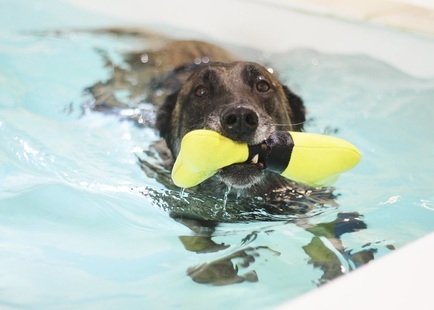 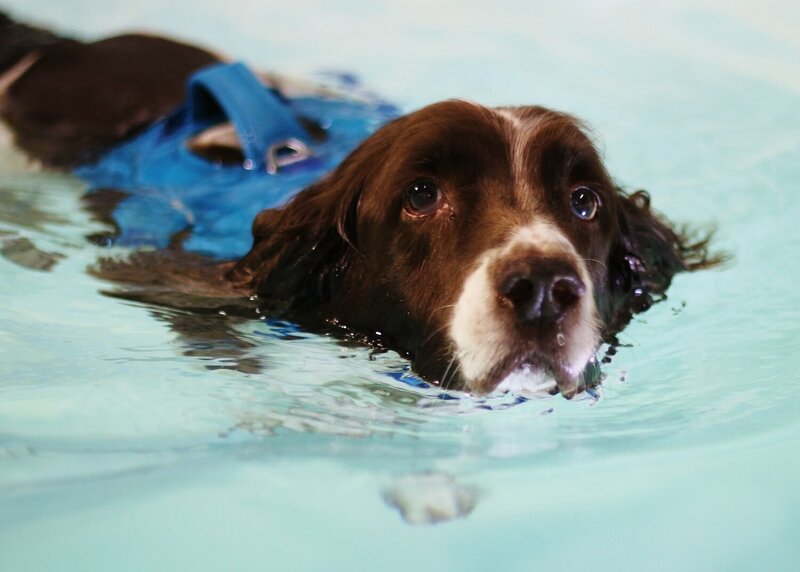 Oscar has had hydrotherapy once per week for over a year now and enjoys his weekly sessions. 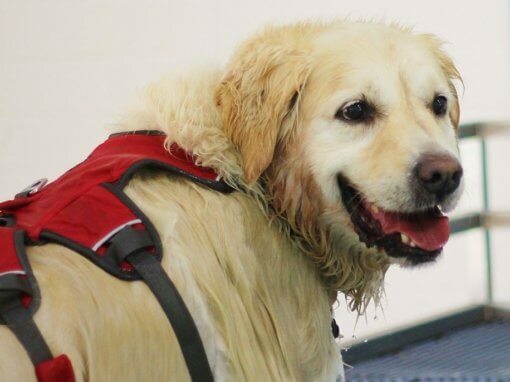 Oscar is treated with love and respect at the centre which we all appreciate.